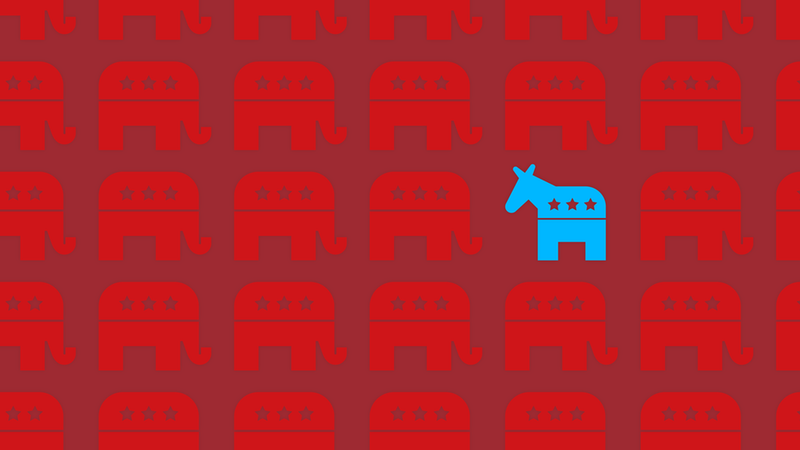 Democrats have recently taken six state House or Senate seats from Republicans. And they're in districts Trump won by large margins. Why this matters: After getting swept in U.S. House special elections after Trump's win, Democratic success at the local level is an uplifting sign for the party, especially as state legislatures will be in charge of congressional redistricting ahead of 2022 elections. Go deeper: Forward Majority, a new super PAC, is raising $100m to help Democrats win state races ahead of the next round of congressional redistricting. Seat formerly held by Republican Rep. Dan Kirby who resigned in February after two former aides accused him of sexual harassment, which he denied. Interesting note: This district's vote completely flipped from last year to this year — in 2016, the Republican candidate won 60% of the vote and a Republican has held this seat since 1995. Seat formerly held by Republican Joseph Saladino who resigned in January to become town supervisor of Oyster Bay, NY. What to watch for: Republican state Sen. Bryce Marlatt of Oklahoma's 27th district resigned earlier this week after charges of sexual battery against a female Uber driver. There are now three vacant Senate seats up for grabs in Oklahoma, all previously held by Republicans. And two races in the special general election on Nov. 14: Oklahoma's House District 76 race, after the seat was left vacant following the death of Republican Rep. David Brumbaugh, and Oklahoma's Senate District 45 race, which is vacant after Republican state Sen. Kyle Loveless resigned amid allegations of campaign finance allegations. But even if they sweep these races, Democrats would be more than a dozen seats from a majority in Oklahoma's 101-seat House.